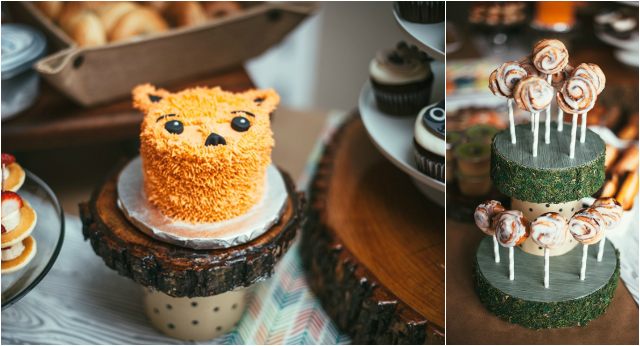 I am so excited to share this ADORABLE woodland animal camping theme first birthday party submitted by the talented and beautiful mommy Christina, creator and owner of custom party printables Etsy Shop, CatieBug Designs! 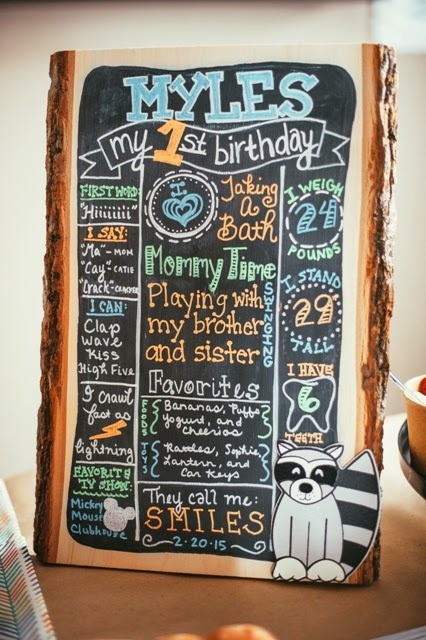 Christina always new that she wanted to plan a woodland theme first birthday party for her precious son Myles. 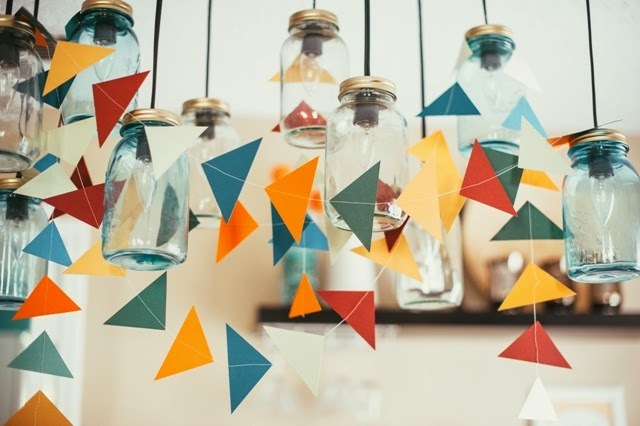 She began by designing the invitations and everything there after "fell into place". 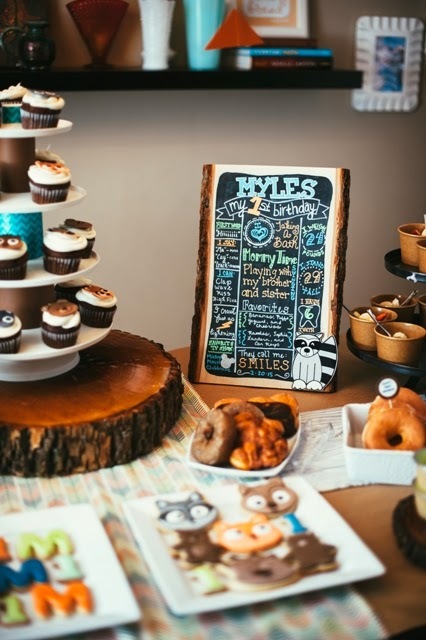 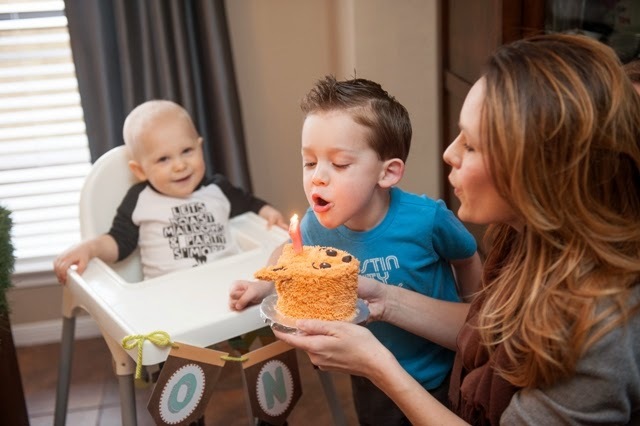 Captured beautifully by photographer Kelli Ahern from Nine Photography, this rustic yet whymsical soiree is filled with adorable DIY and handmade items, creating the perfect ambiance for baby Myles to celebrate his big day! 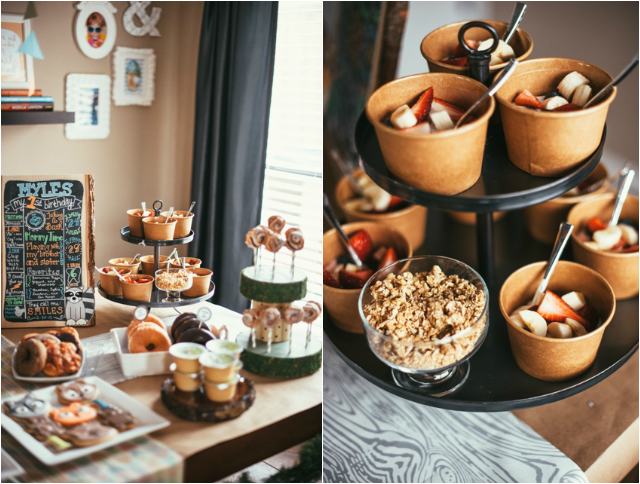 Believe me, you will be swooning over every detail and will probably scroll back up for one more look through. 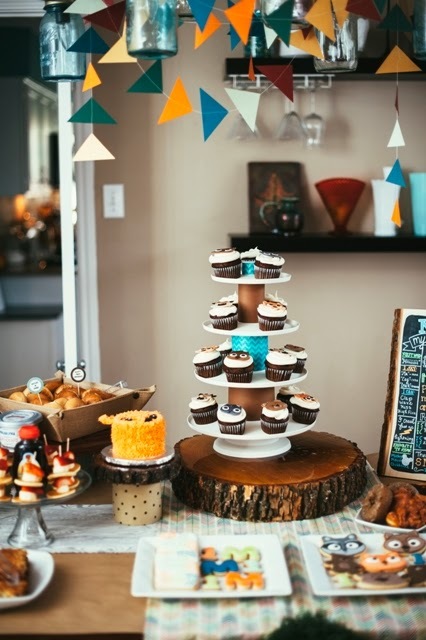 I love that not only does the party decor make a beautiful statement without going over the top, every detail was handmade and homemade with love. 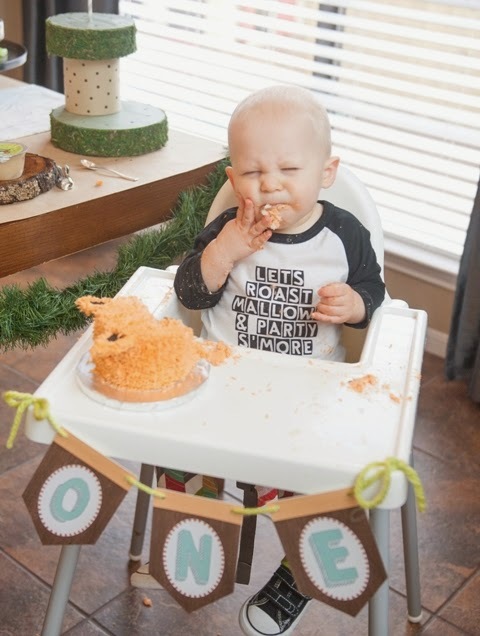 If you love these party printables as much as I do, we have a surprise for all Fawn Over Baby readers below-as well as a list of all of the fun details and shop links. 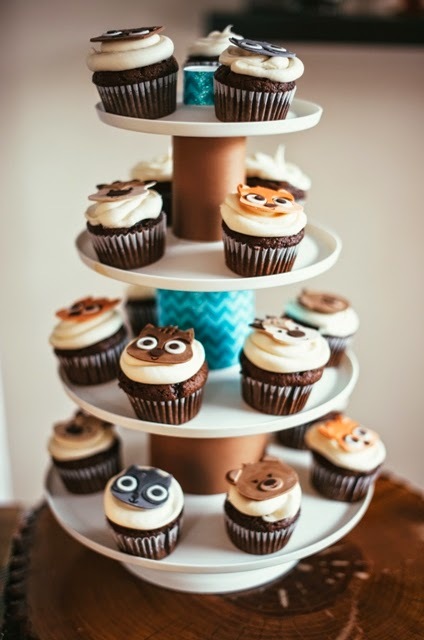 For Fawn Over Baby Readers Only!!! 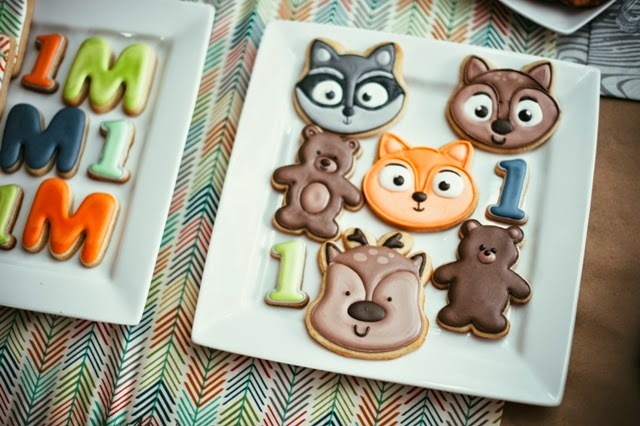 As a welcome to Christina's' adorable party printables Etsy shop, she is offering all Fawn Over Baby readers 10% off at Catie Bug Designs Shop. 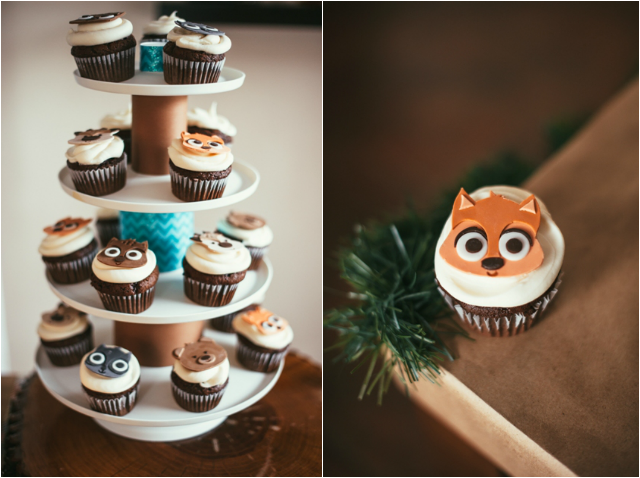 Just use code fawn10 at checkout to receive your generous discount. 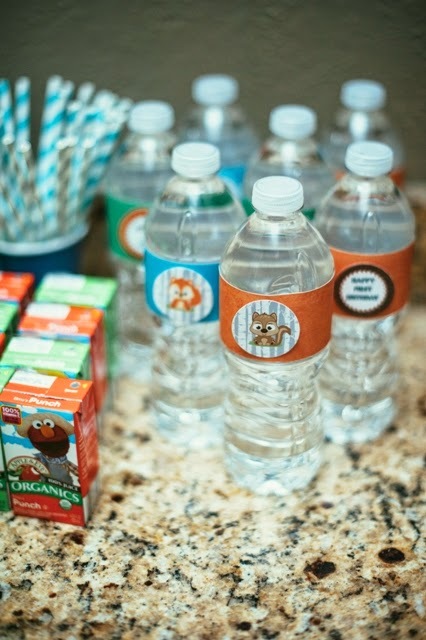 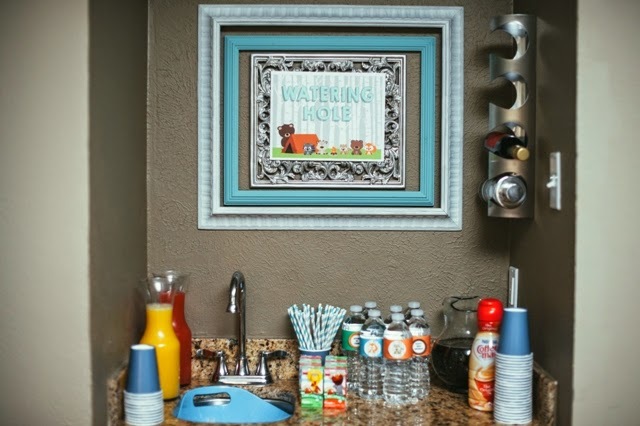 Talk about a great way to get your little one's party plans staring off on the right foot! 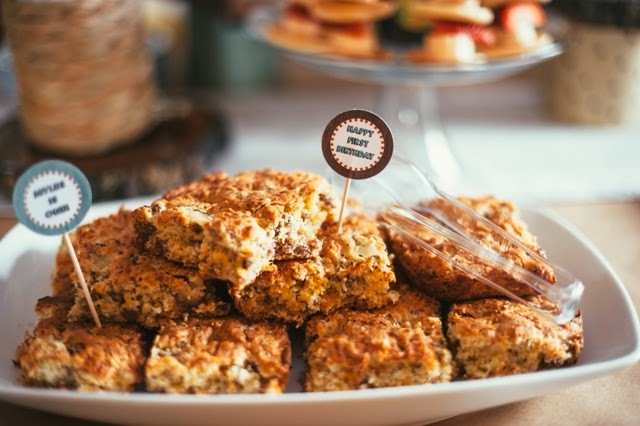 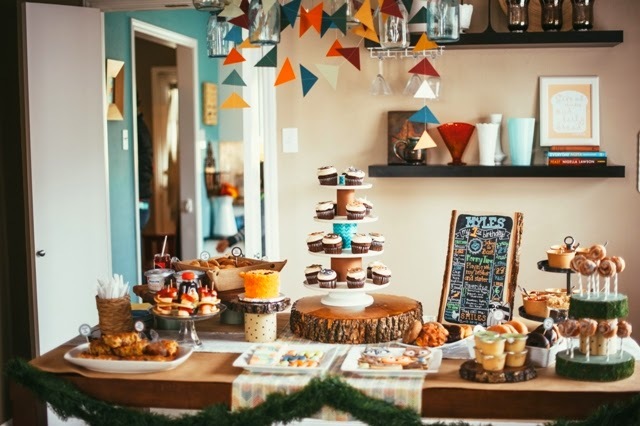 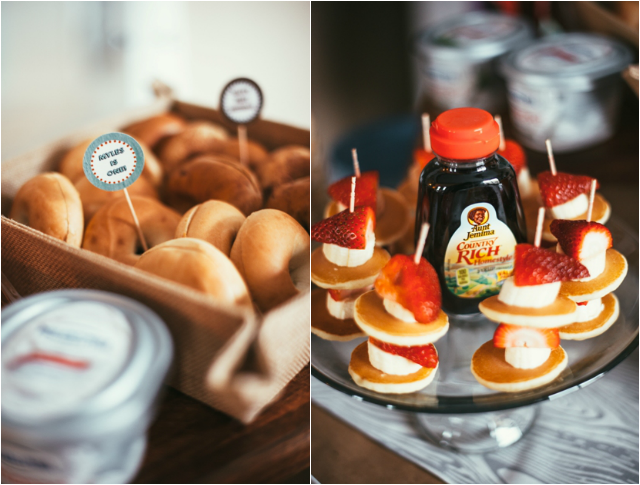 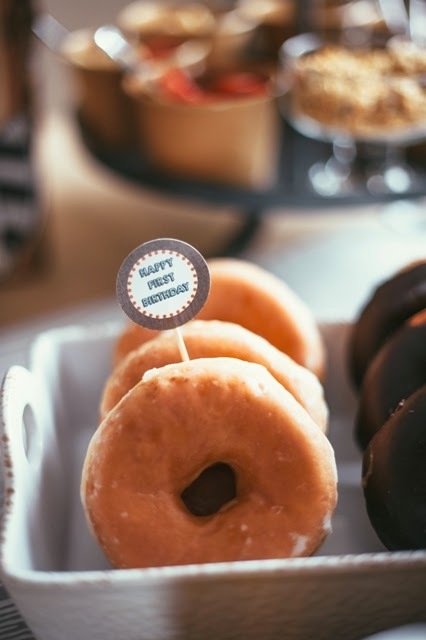 Food - Brunch was the theme of the cuisine which included: bagels, donuts, fruit & yogurt, mini pancake/banana/strawberry skewers, breakfast sausage squares & cinnamon roll pops. 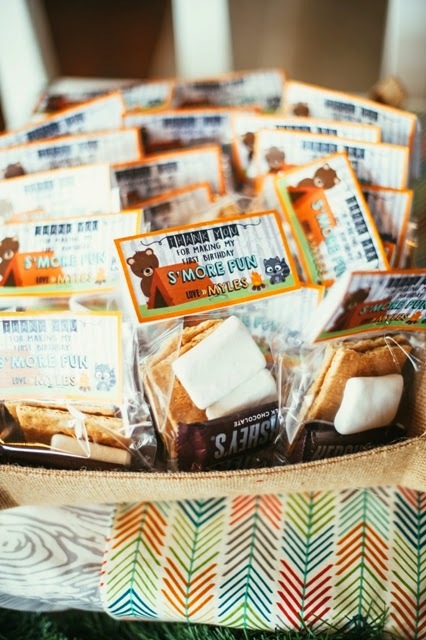 Party Favors - Cellophane bags filled with yummy s'more fixings.